I'm often surprised by how few people know what fondant is or how it's used. If you aren't familiar with the name, you're probably still familiar with what it actually is. Fondant is candy made of a thick creamy sugar paste that's used on top of cakes to make it look incredibly smooth. Many wedding cakes are covered with fondant. It can be used on any cake and on other desserts — such as cupcakes — and to create special characters to put on cakes (think of all the little people the Cake Boss makes to put on cakes). It's sold in the cake decorating aisle in grocery stores, but generally tastes pretty awful. That's why I make my own whenever I am in a situation where I need to use it. So here it is! The first time I made it was a nightmare, but after a few revisions and trials, I found what is probably the easiest recipe there is to make it. Place the marshmallows and water in a microwave-safe bowl and microwave for 1 minute. The marshmallows will get puffy and expand. Fold the marshmallows with a rubber spatula until it's well-combined and smooth. If it's not completely melted, microwave for another 30 seconds and stir again. Add the powdered sugar and stir until it's completely stiff. Generously powder your hands and a dry surface. This will be sticky! 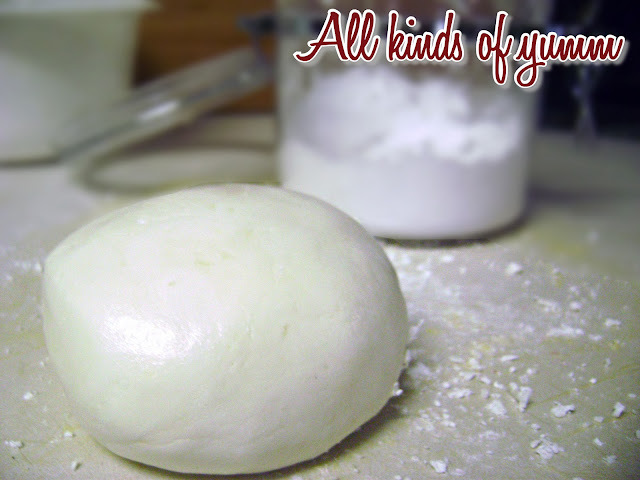 Knead the fondant until it loses its stickiness and is smooth. If you want to use it immediately, you can roll it out, color it (I use Wilton icing color), and add flavors. I love Wilton's tutorials, and here's a great one about how to follow this step. If you want to save it, wrap it in cling-wrap and place it in your fridge. Fondant is so much fun to use, and it adds an elegant look to any cake. Next time you have to make a cake for a special occasion, go ahead and try this! It's so much better-tasting than the kind you buy in a store. Trust me! Looks yummy, never really cared for Fondent, but this sounds good.